Become a member or volunteer today to support the legacy of our great city. Join for as little as $57 and become a member of the Heinz History Center. Receive all the benefits of the History Center and its museum system, including the Western Pennsylvania Sports Museum, Meadowcroft Rockshelter and Historic Village, and the Fort Pitt Museum. You also receive a membership to the Smithsonian Institution, which includes a subscription to Smithsonian Magazine. Present award-winning exhibitions and public programs that engage visitors of all ages. Provide educational resources for students including National History Day and school field trips that reach more than 35,000 students each year. Preserve hundreds of thousands of historic artifacts and archival collections for future generations to enjoy. 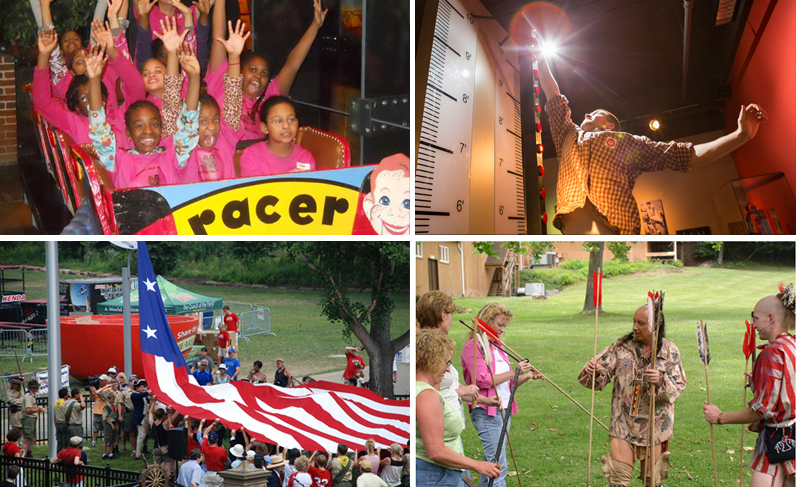 Showcase your Pittsburgh Pride by becoming a History Center member today! We need your help to preserve our history. Free, unlimited admission to the History Center, the Western Pennsylvania Sports Museum, Meadowcroft Rockshelter and Historic Village, and the Fort Pitt Museum. Invitations to unique members-only events including exhibition previews, private tours, and more. Subscription to Western Pennsylvania History quarterly magazine (print or e-version). Subscription to Making History quarterly newsletter. 15% discount on all purchases in the Museum Shop. Discounts on tours, lectures, classes, and Detre Library & Archives services. Discount on parking in the lot across from the History Center when you show your membership card (subject to availability). Subscription to Smithsonian monthly magazine. 10% discount on all purchases in Smithsonian gift shops, restaurants, catalogs, and SmithsonianStore.com. Members-only travel programs, study tours, and events. The History Center recently received the coveted four-star rating from Charity Navigator for sound fiscal management and commitment to accountability and transparency. So you can be sure your donation is going to a good cause. If you need additional information about becoming a member of the History Center, please contact Shirley Gaudette at 412-454-6436 or sagaudette@heinzhistorycenter.org.